Always happy, keeping his eyes wide open to guard the Creative Thoughts Studio day & night. Especially with his internal light lit. Placing a light inside this bust gives a unique effect as the light shines through several areas of the Goblin. 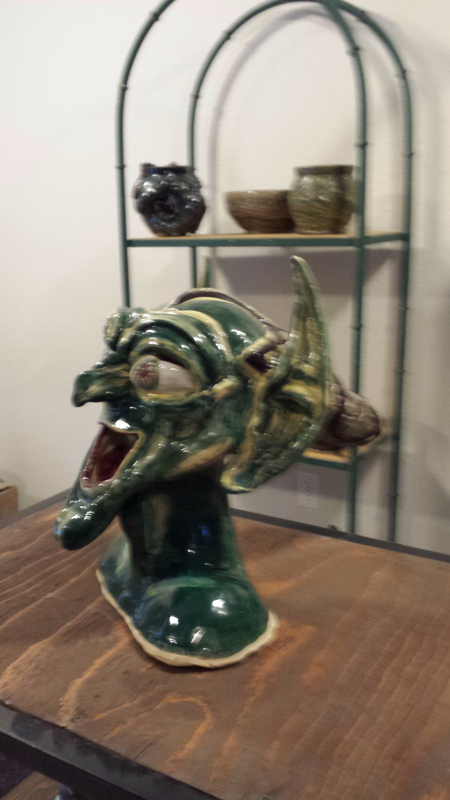 This Specialty piece shows the growing ability of the Potter to produce incredible art. The Hot Sufer rides the wave, chased by an Octopus! 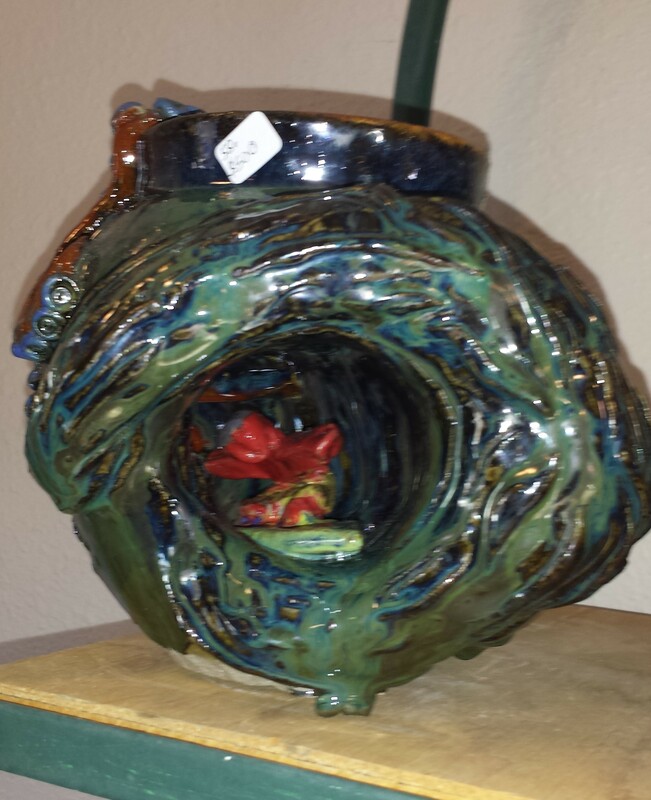 See photo of the other side of this piece, in the studio catalog, showing the OCTOPUS chasing after the Surfer in the tube. 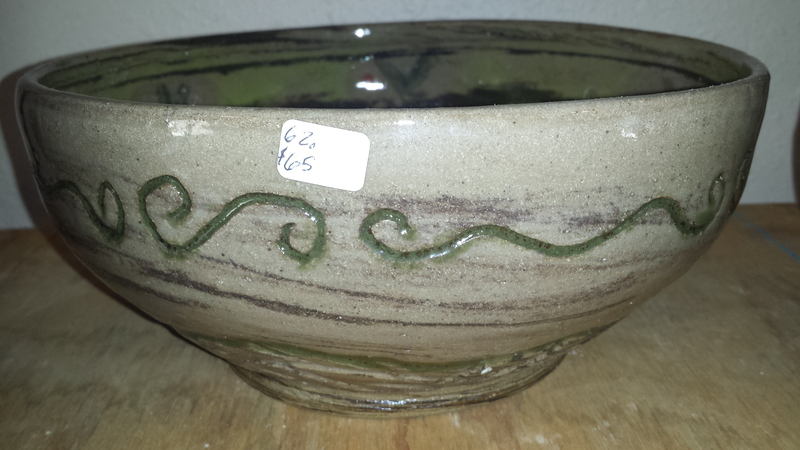 This is the Potter's large size bowl, approx: 10"- 12" dia X 4"- 6" deep. 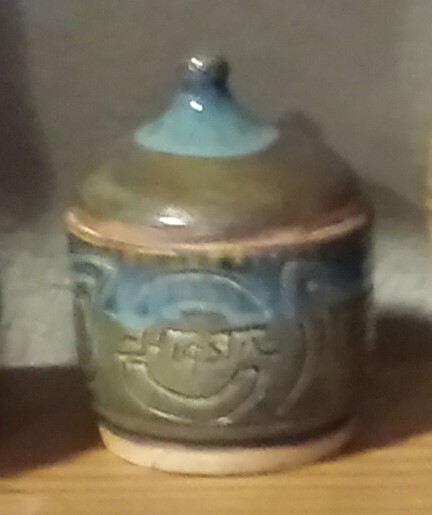 Marbled clay with accents of Green, Swirls & Dot inside, on bottom center. Great for all occasions. 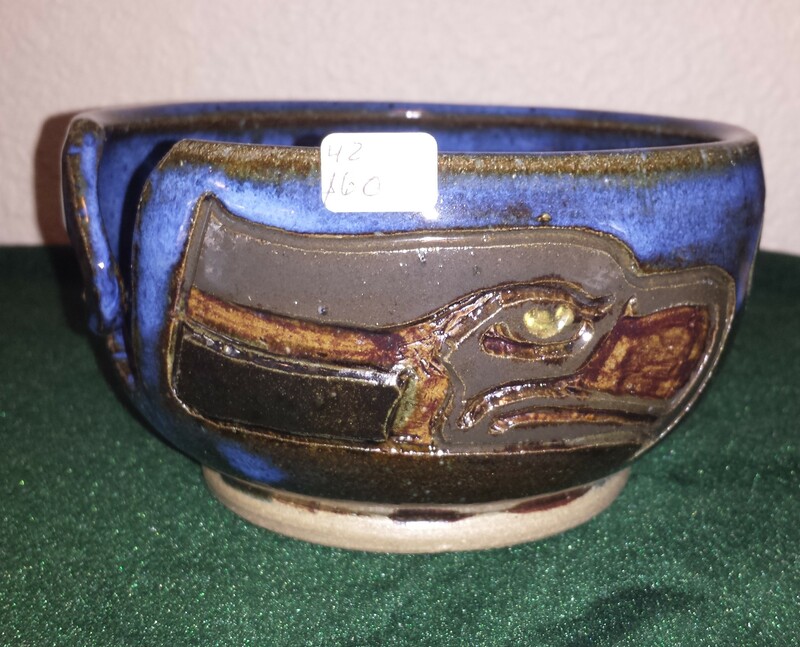 Pottery is Oven, Microwave, & Dishwasher safe. 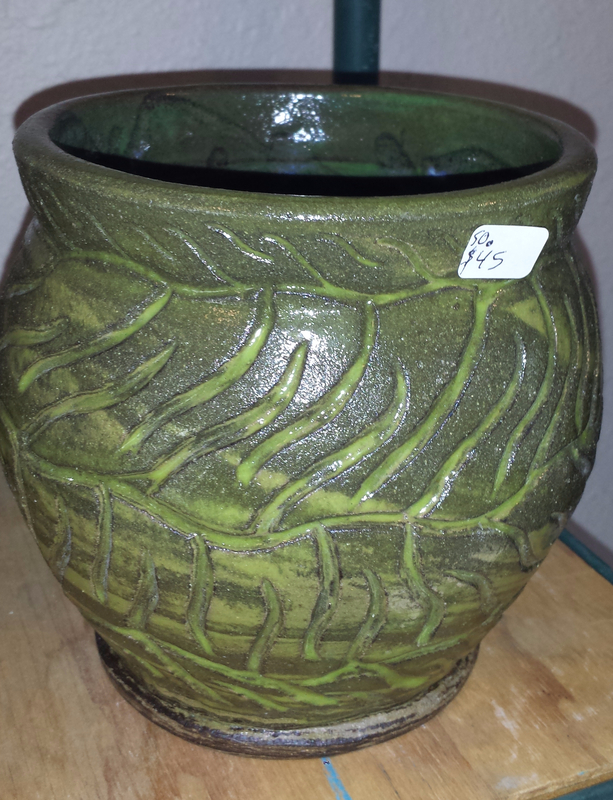 Marbled Clay with Pear glaze, gives this planter a jungle look. 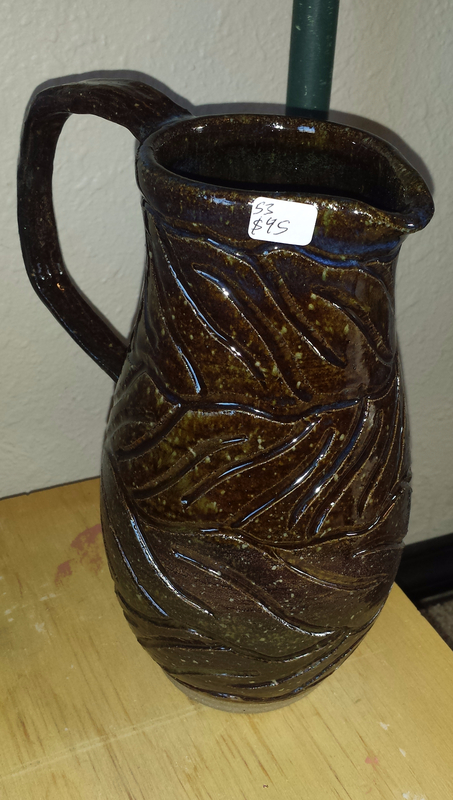 Great piece for house plants or patio flowers! This piece has 3 Octopuses in a swarm. 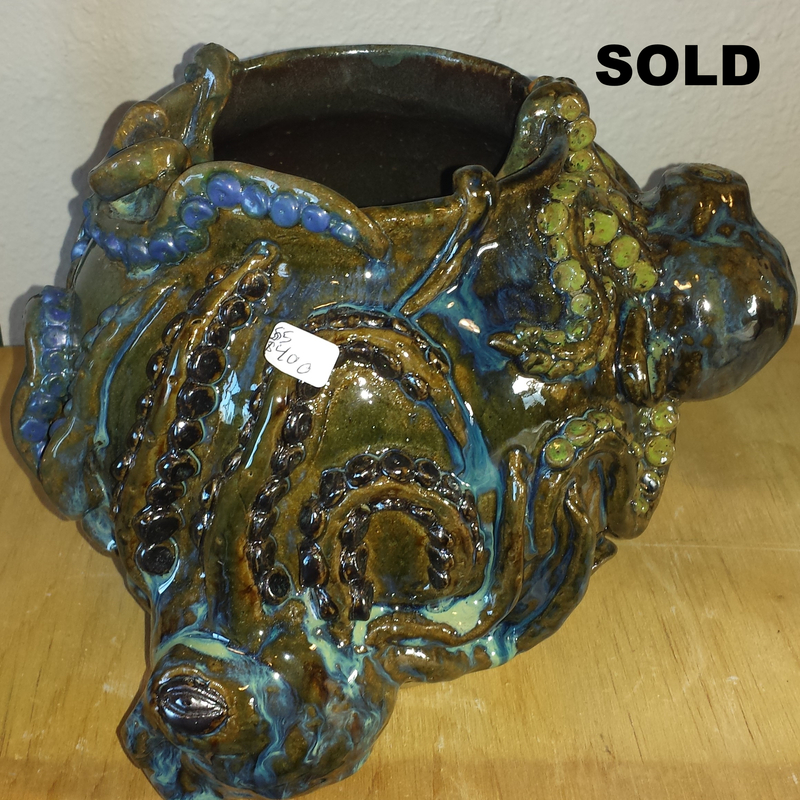 Can be used in various ways: Set it as a planter beside an aquarium; Set as a center piece in a seaside theme room; Or gift it to that person who loves the ocean and has everything, but a octopus swarm. RUM Bottles can be personalized for that special somebody! Color options available and engraving can be WINE, BEER, DEW, BREW, etc. Other examples: Mama's WINE, Joe's BEER, or Sister Salley's SAUSE. 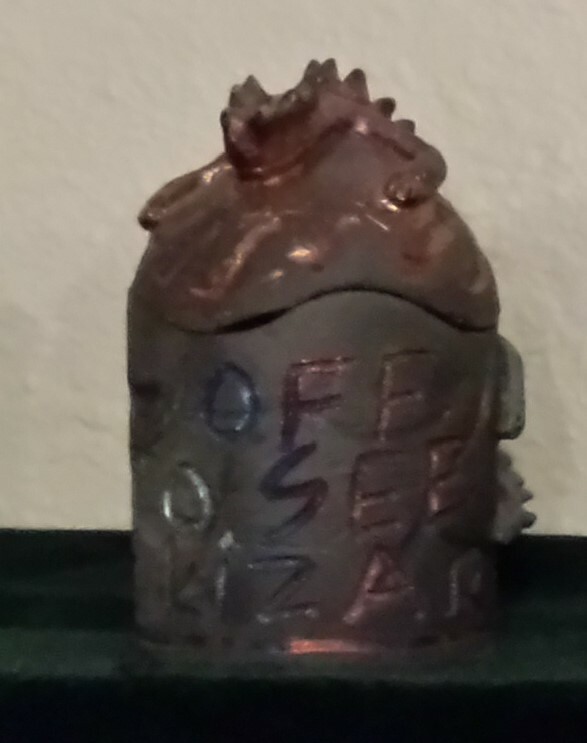 Great gift for: "You Know Who"
Add "Note to Seller" box at Check Out. Order a special gift with custom personalization for a wonderful keepsake. Use Your Creative Thoughts to choose a favorate critter, song, saying, or NAME to personalize your gift. Add "Note to Seller" at check out. We welcome your Creative Thoughts! Your choice of colors and enqraving! This can be something special for that special Somebody, to keep their special things in. Choose colors and list custom details in: Add "Note to Seller" box at check out. You choose the color and engraving with Family Name or favorate saying, insignia, etc. 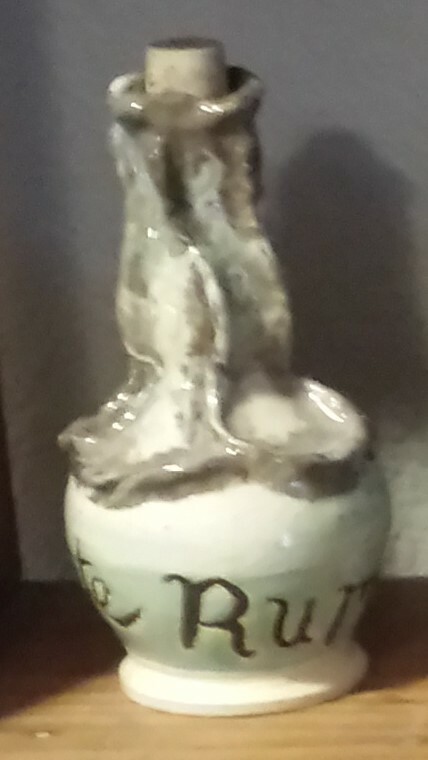 For some examples: "Grandma Duncan is the Best" or " Home Made Things" or "The Loving Homemaker's Happy Yarn Bowl"
The Potter's Tall Pitcher stands approx: 10"-12" tall X 4"-6" wide. Great for serving company or watering house plants. We welcome your creative thoughts for color request and personalized engraving. Add a pair of tumbers to your cart, to make a great gift set for ice tea in the sun room or on the patio. Great gift for the working person's office desk or that little something for the bathroom or kitchen counter. 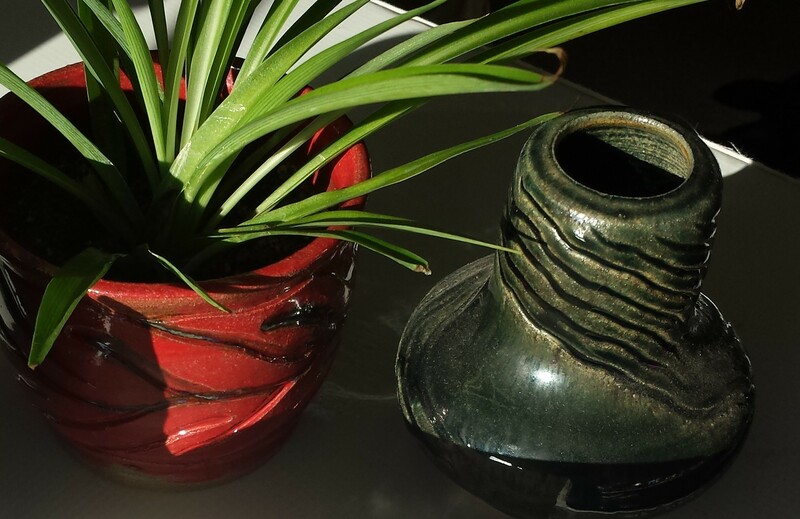 Small vase can be used for flowers or pens & pencils, tooth brushes, drinking straws, etc. You choose color & engravings to persoalizen. Add details in "Note to Seller" box at check out.